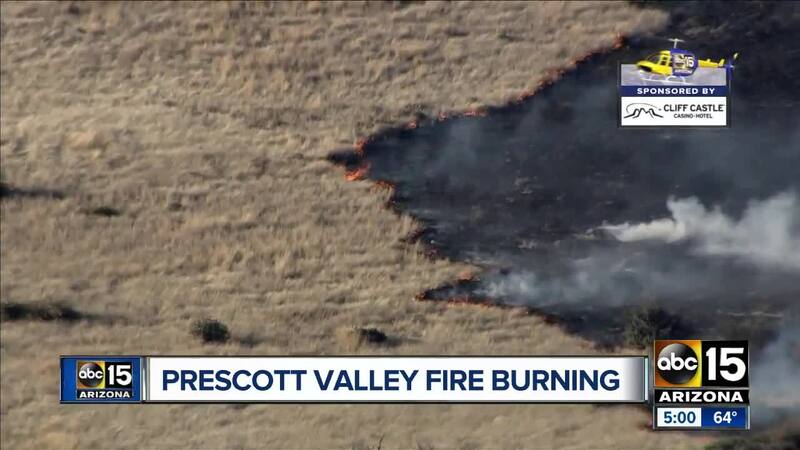 Fire crews worked quickly to extinguish a 400-acre brush fire burning in the Prescott Valley area Monday afternoon. Central Arizona Fire and Medical says it’s unclear what started the fire Monday afternoon, but the flames quickly spread because of heavy wind in the area. Central Arizona Fire and Medical says it's unusual to have brush fires in that area around this time of year, and it may have been started from something on the freeway. Officials say firefighters are expected to remain on scene throughout the night and Tuesday morning to put out any remaining hot spots. Crews say no homes were damaged in the blaze.